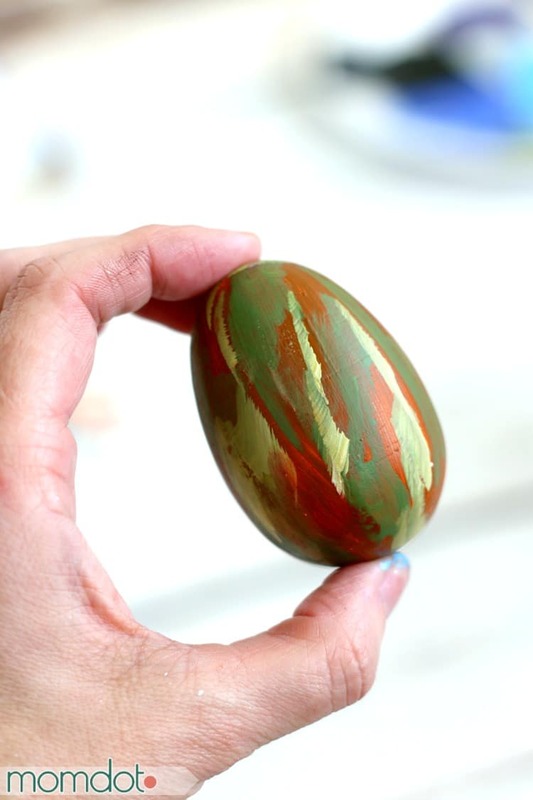 So….I’ve been slacking on Easter Crafting. Truthfully, I’ve been so wound up on St. Patricks Day crafting I basically forgot about the bunnies! 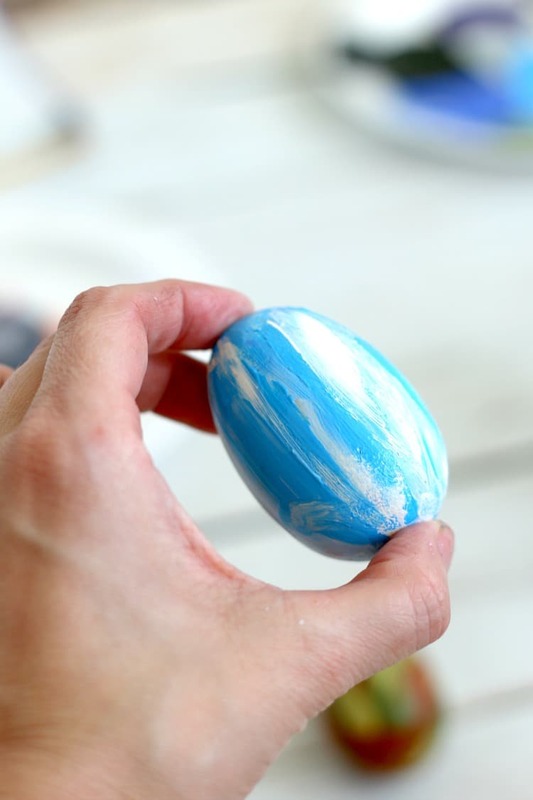 Then someone asked me on my Facebook page where my Easter ideas were and I was like…ok, ok, I give. I’ll do something. 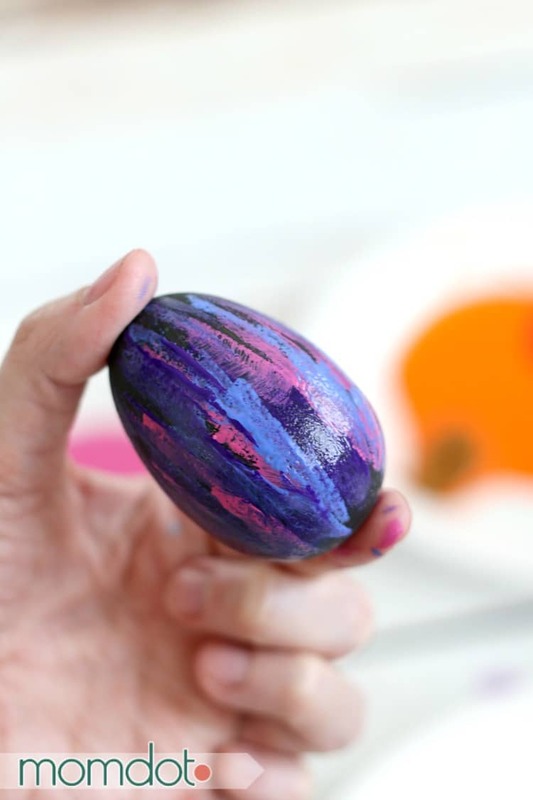 With spring break coming up in about a week for us, I suppose I should get around to Easter Egg Decorating! 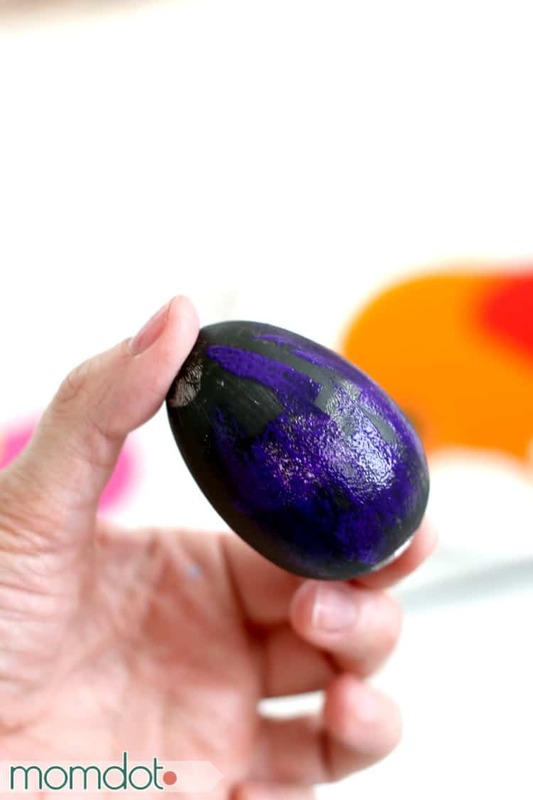 Today we broke out the wooden easter eggs to bring you this very fun Elemental Easter Egg idea. I am sure you already know how much I love working with the elements. In the past, you have seen an Element Jar, Nebula Jar, Galaxy Jar and Constellation Jar here on MomDot. Its just so fun to paint that I drug the idea over to eggs and am totally pleased with how awesome they look. 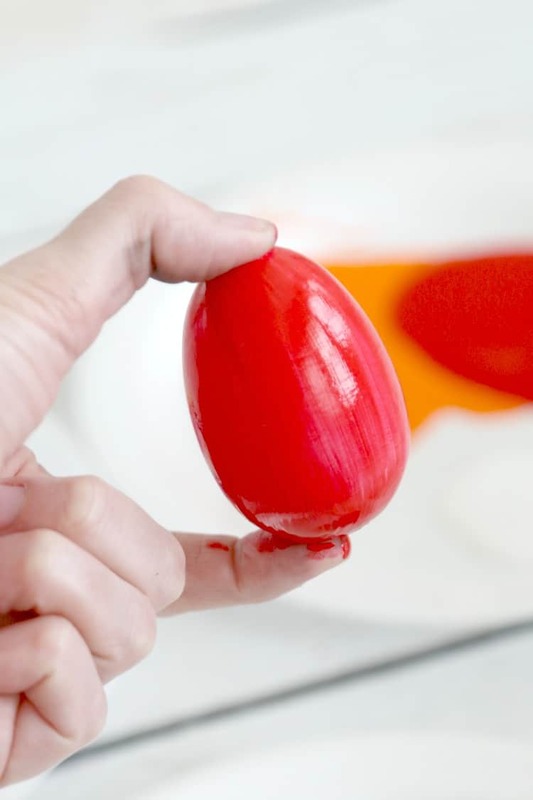 Creative, unique, and the best part is no boiling eggs (not that you couldn’t do this idea ON boiled eggs, but since I could get a pack of the wooden ones for less than real eggs, I went with that). 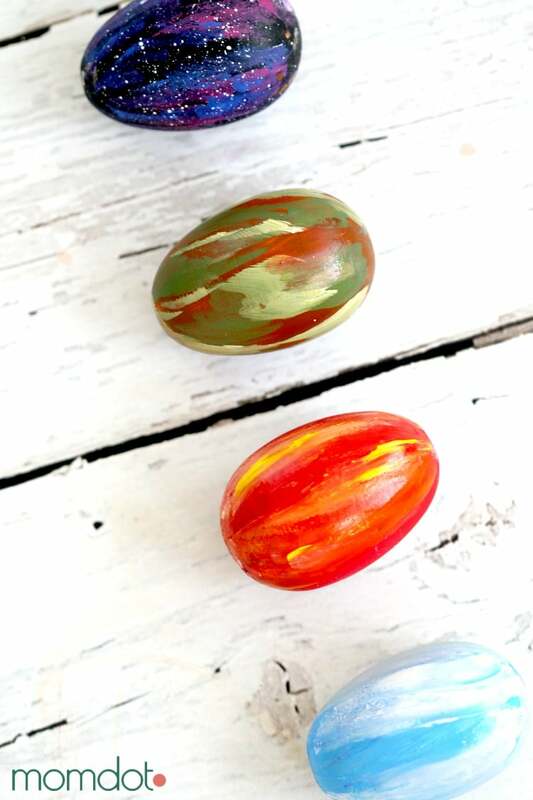 I picked up wooden eggs to create these Elemental Easter Eggs at our local Hobby Lobby store. They do a ton of sales there and I was able to get a pack for 50% off in the Easter section that were white. 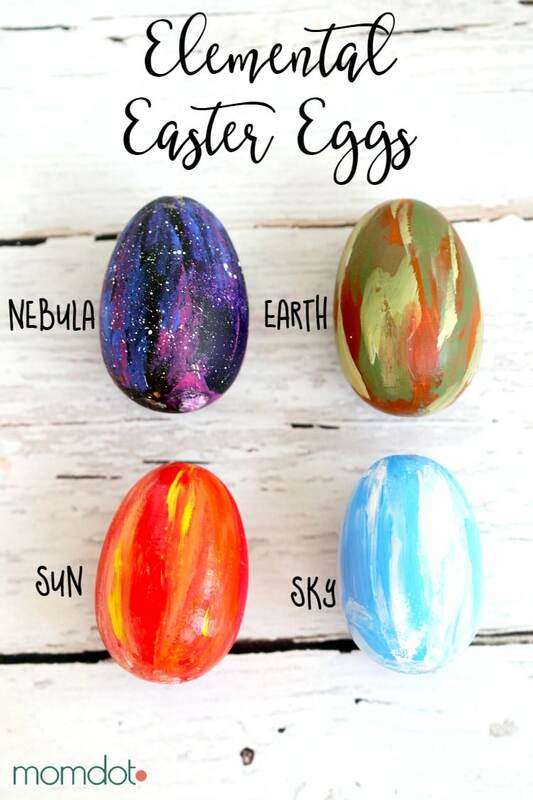 If you do not have a craft store near you and want to use eggs that are not real, I put a link to some up there from Amazon. You could also boil eggs for this. 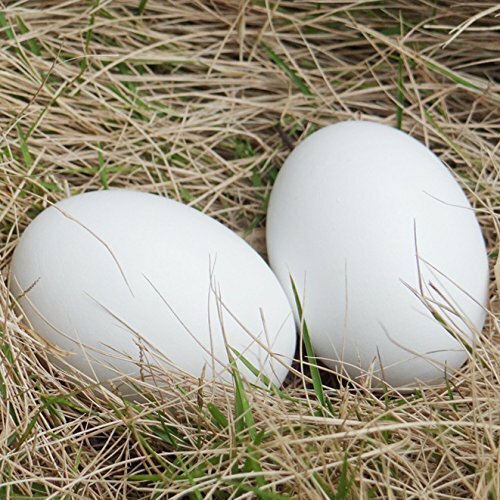 I do like doing them on nonbreakable eggs because first, no cracks and two, you get to keep them forever. 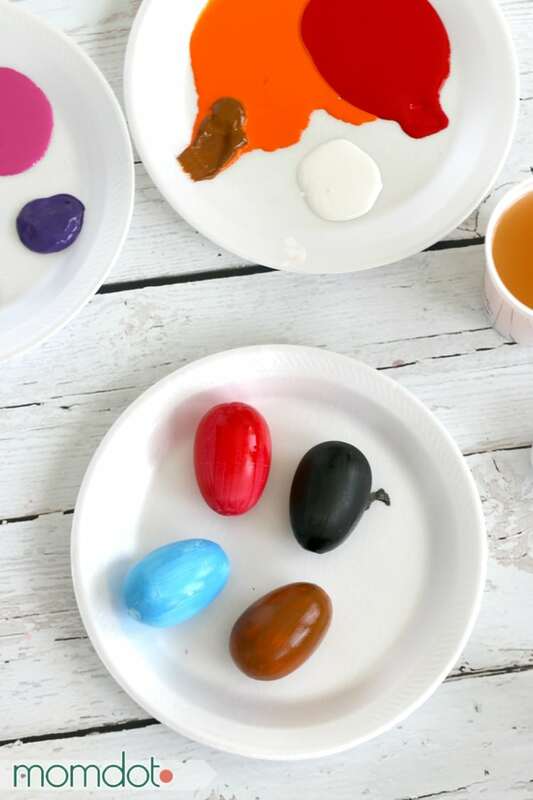 Paint your eggs with a solid color first. I used brown for earth, blue for sky, red for sun, and black for nebula. 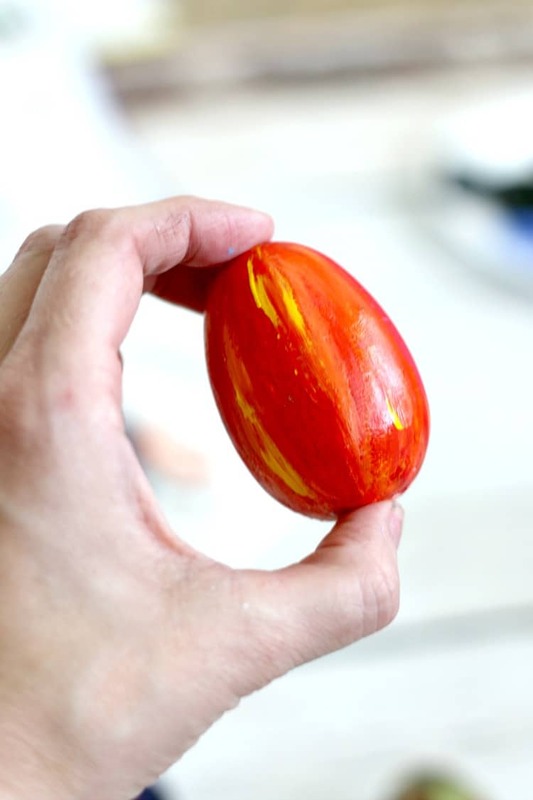 It helps if you let your eggs dry completely before going onto the next stage, but as you can see in the photos, I painted over wet paint. In real life, it works better if you dry them between coats. 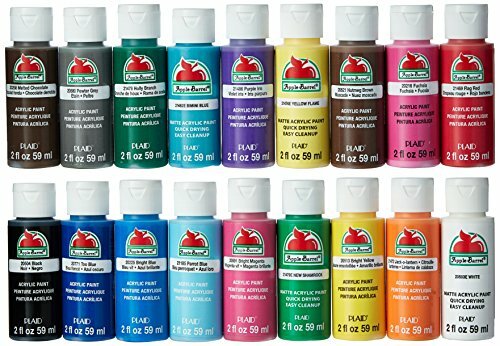 Sponge on additional colors in layers until you have your desired look. These are awesome! 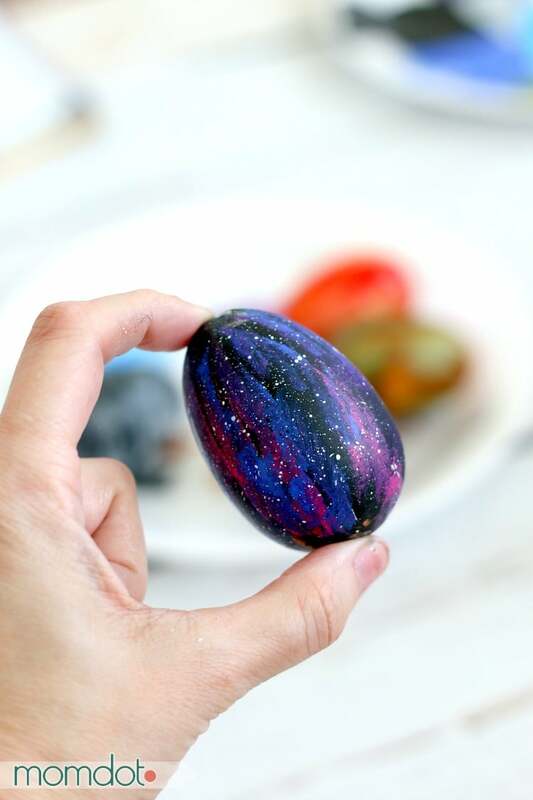 My son was trying to make a galaxy egg yesterday when we were tie dying our eggs.